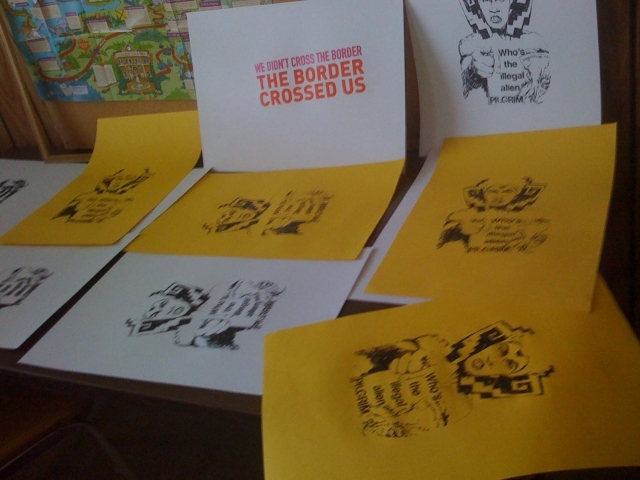 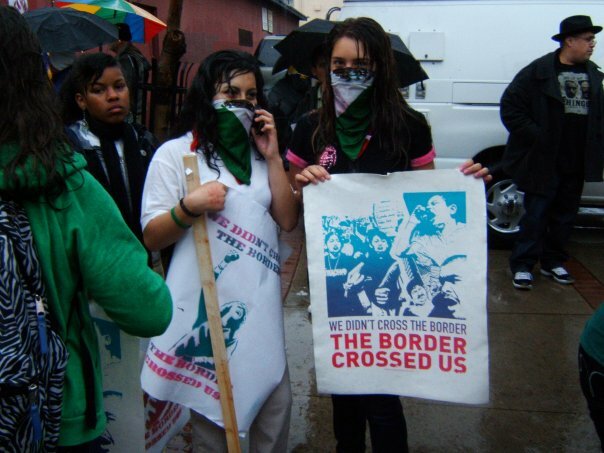 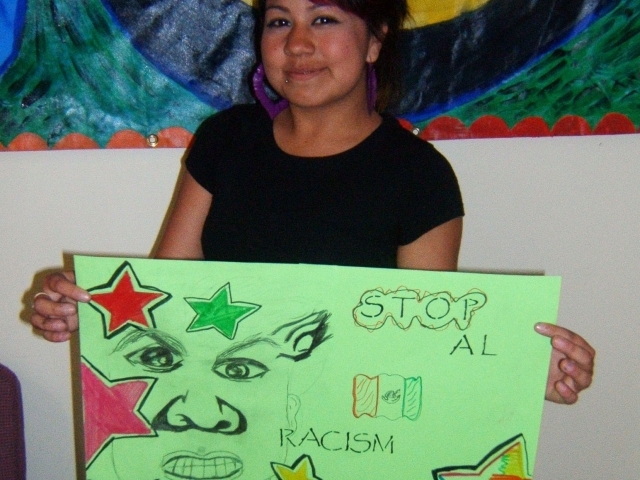 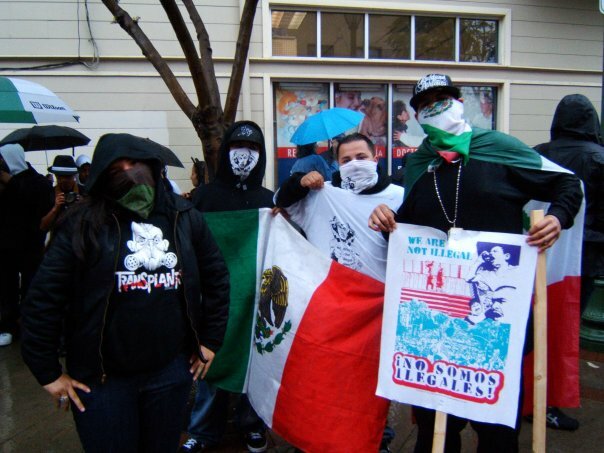 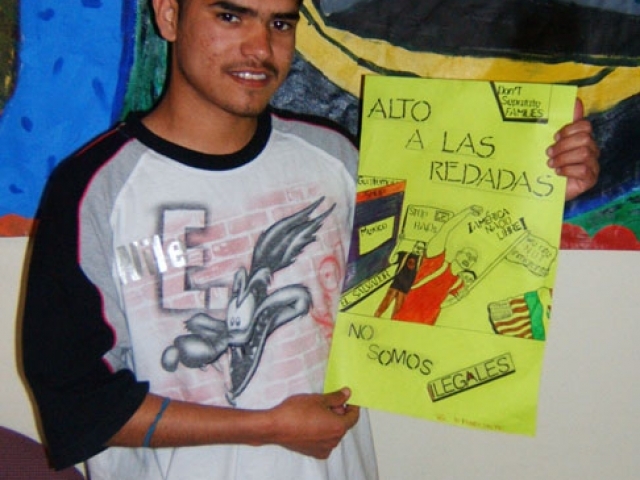 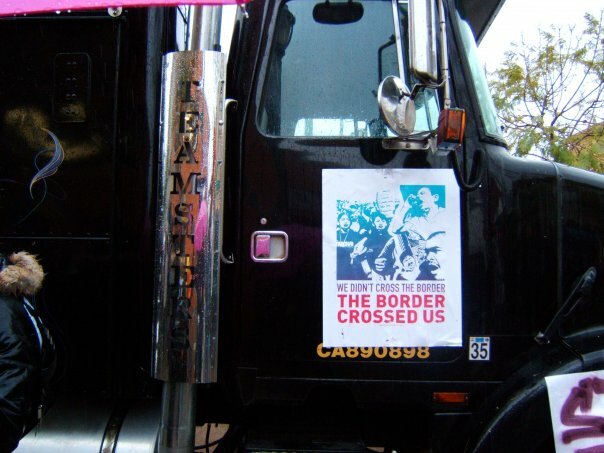 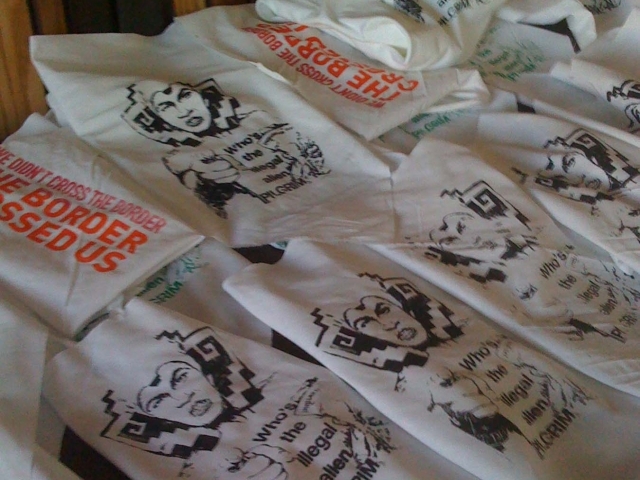 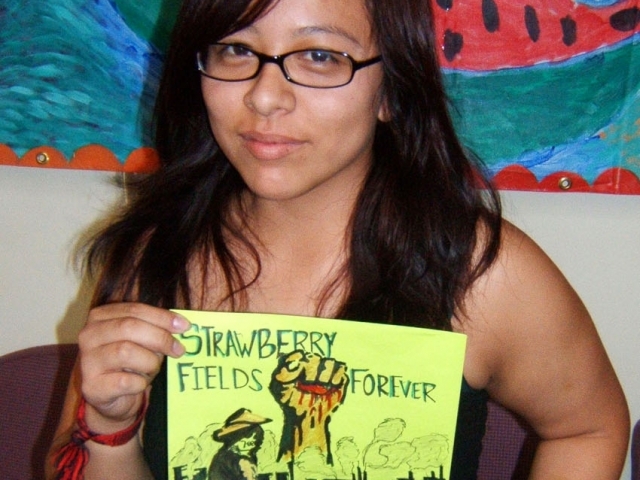 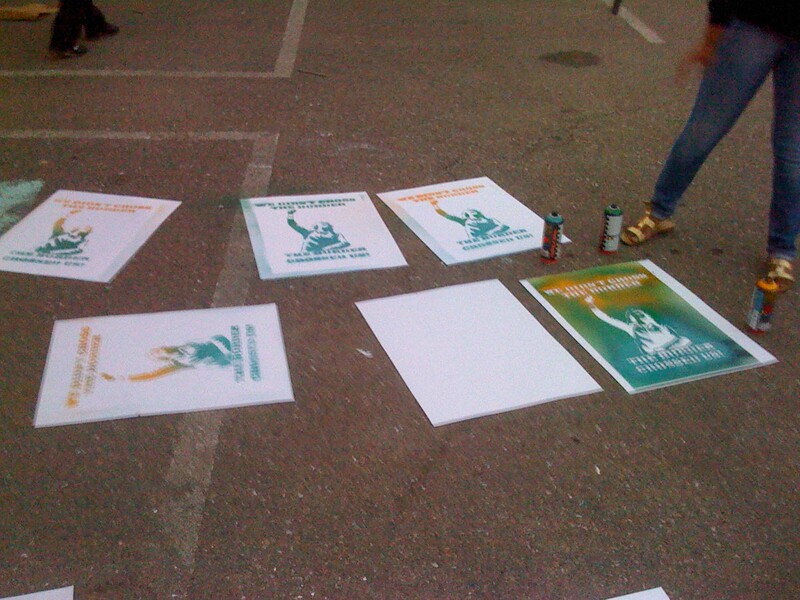 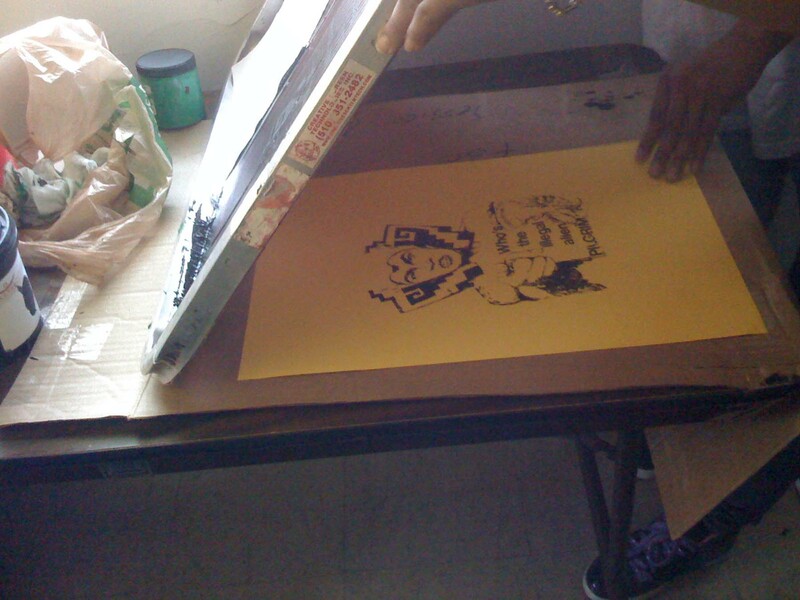 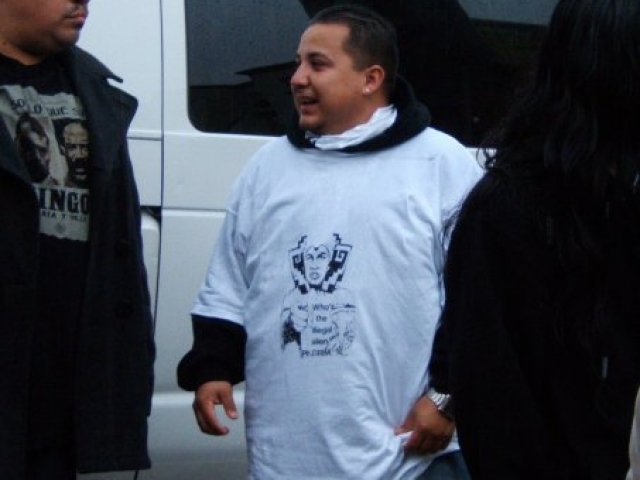 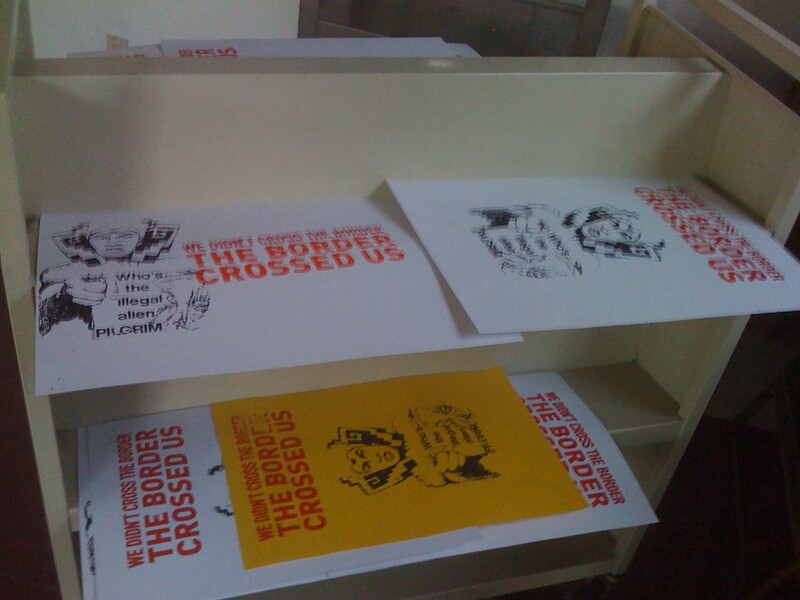 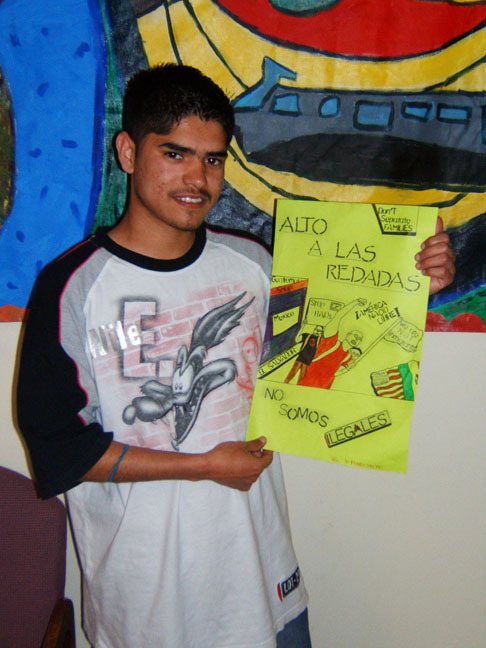 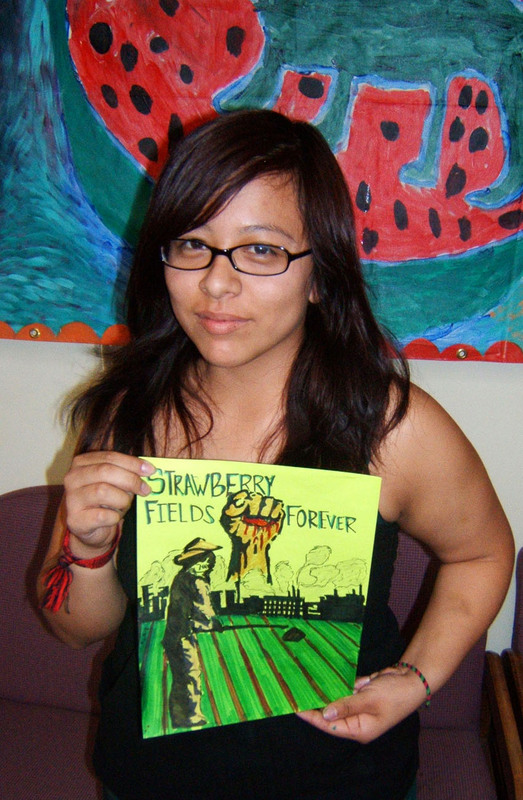 In May of 2009 we started working with community to hold printmaking workshops with community to produce posters and other printed materials for the May 1st rallies and marches in the Bay Area. 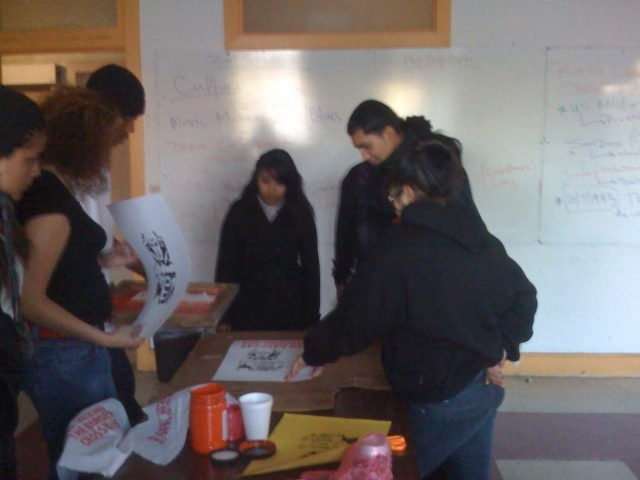 This first year it was initiated through a workshop with Oakland’s Spanish Speaking Citizen’s Foundation who invited us to conduct a series workshops on how to develop political posters. 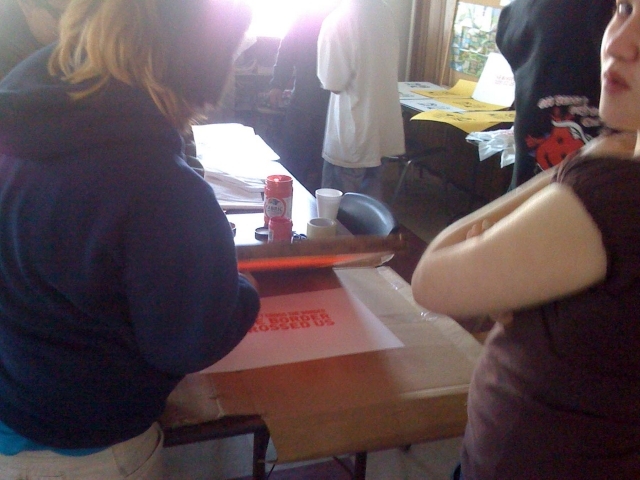 The weeklong series acted as an alternative Spring Break, the students met and worked with us, Xican@ community artists, to learn about the history of political posters as developed within the context of social justice movements, learned the steps in developing a poster and created posters of their own that reflect their values and interests. 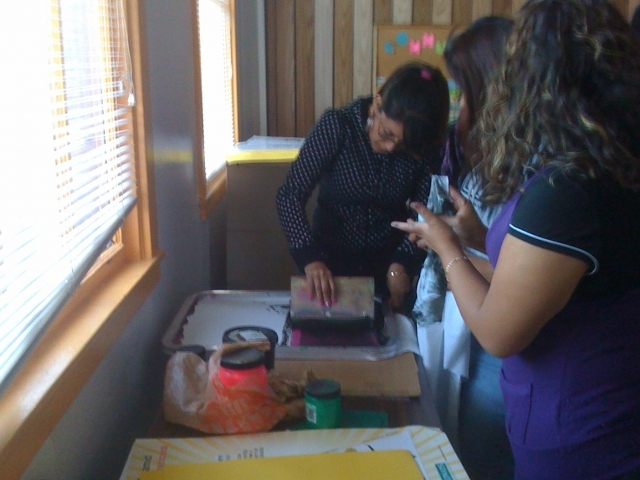 Each of the students learned how to create a thumbnail sketches for their poster layout as well as brainstorming ideas for our group design. 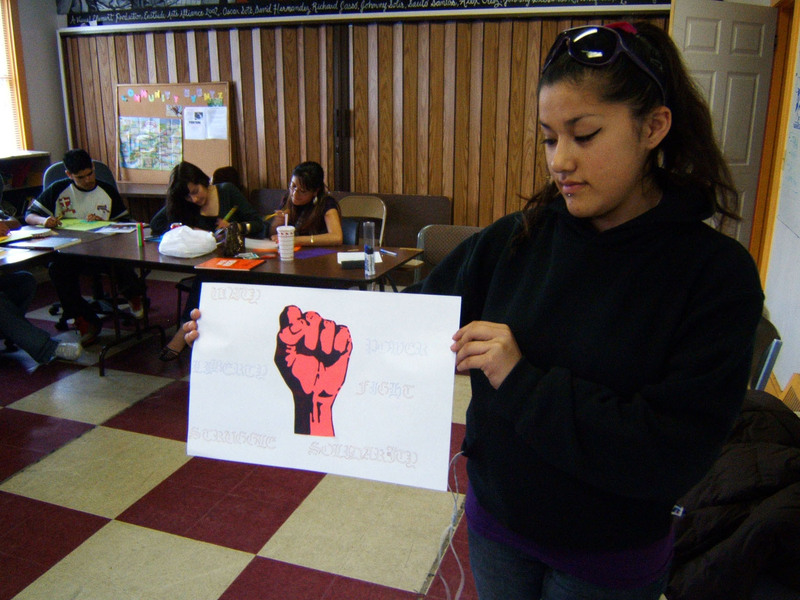 Collectively the class created designs for a poster that they will distribute for the May (im)migration mobilizations. We did daily group critiques as we continued to develop the collective poster. There were various distribution plans-some students gave the posters out at their schools and posted them in classrooms, others worked with community organizations to distribute picket signs and others approached store to post them in their windows. 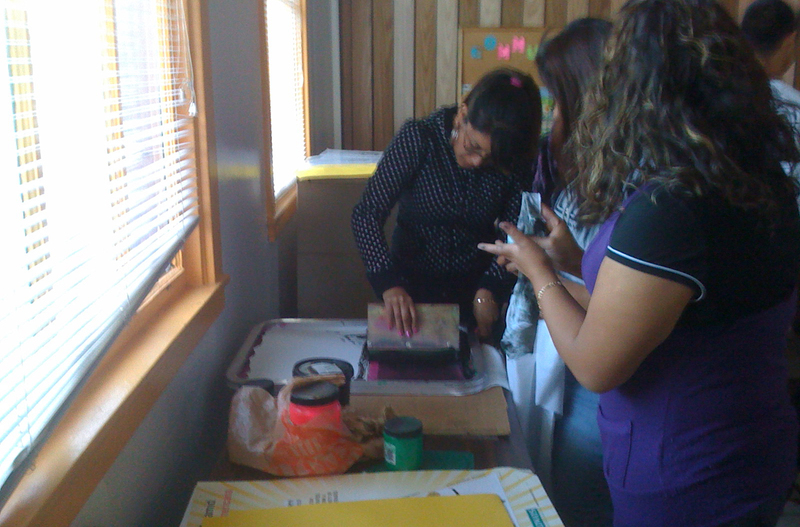 We were also invited by Huaxtec to be part of their art making party in preparation for May 1st . 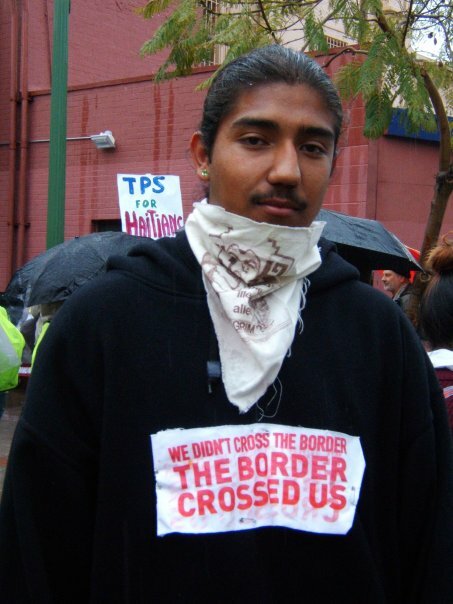 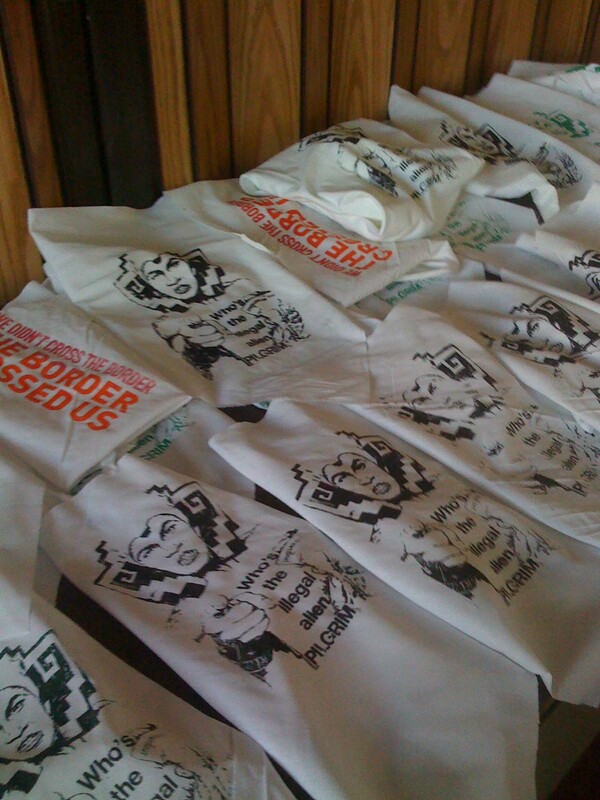 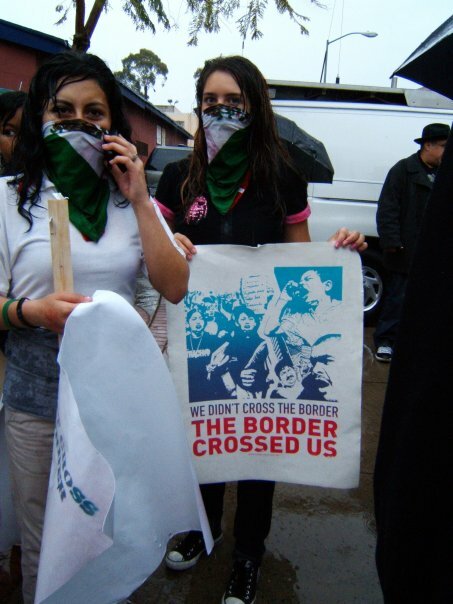 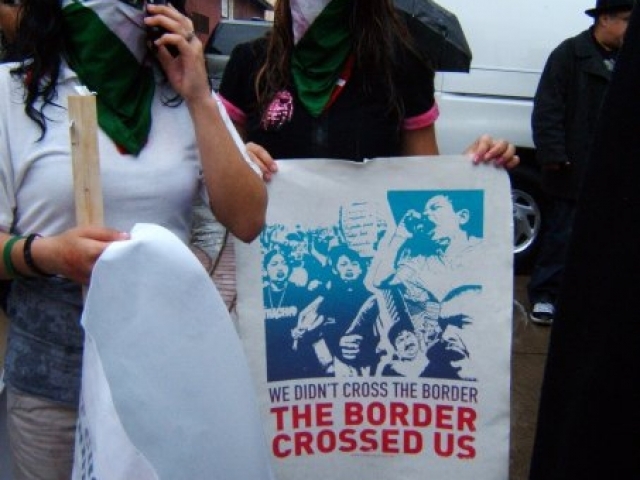 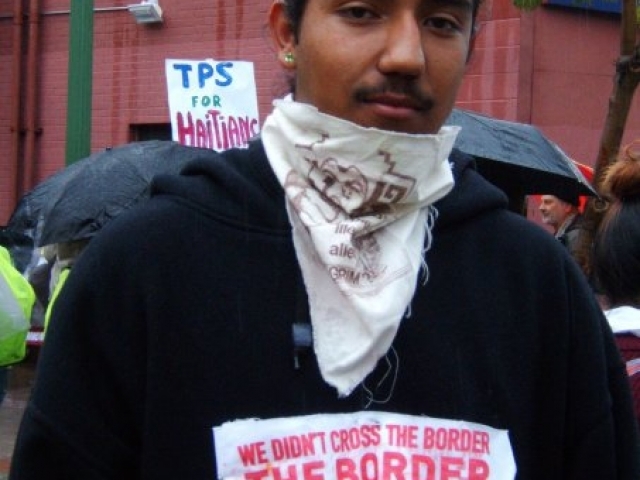 We were able to support the production of bandanas using classic images like that of Yolanda Lopez’s “Who’s the Illegal Alien Pilgram?” and slogans like “We didn’t cross the borders, the borders crossed us”. 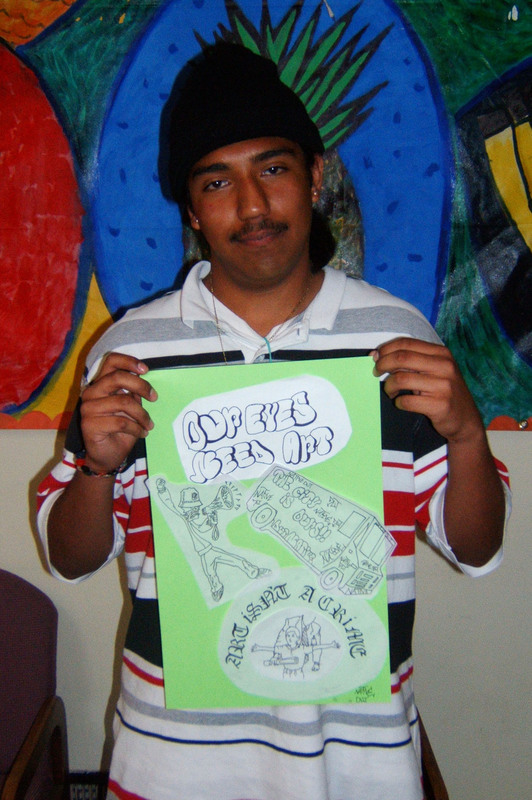 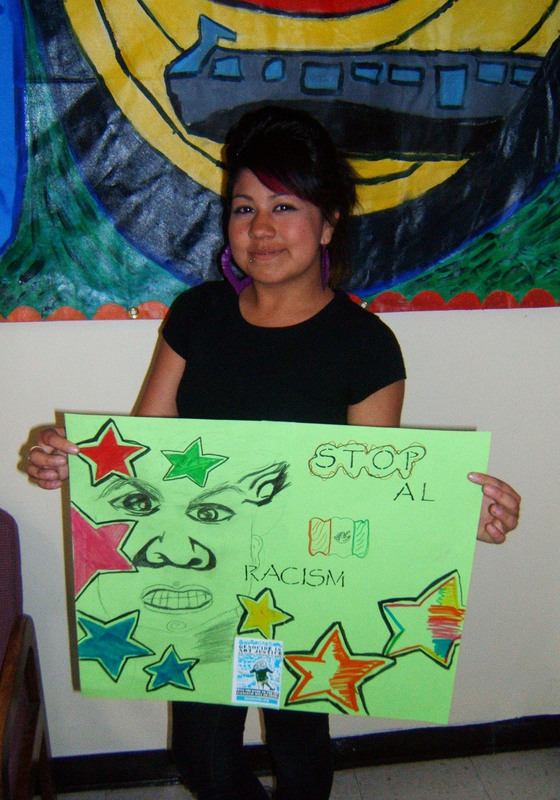 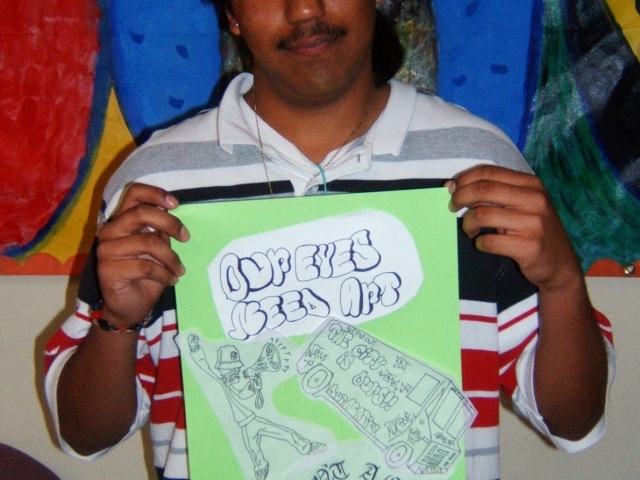 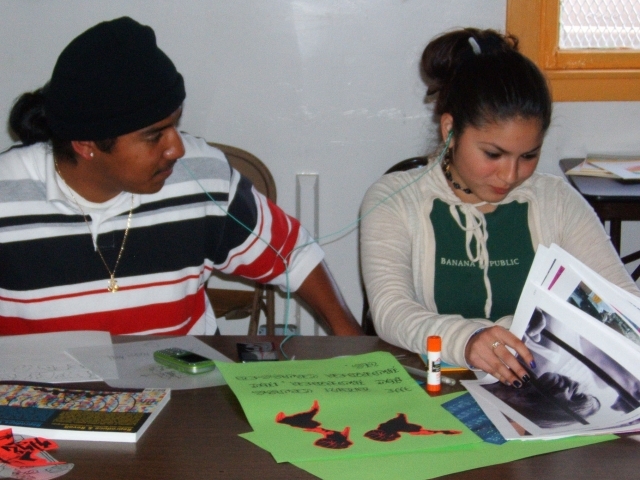 Young people also produced silkscreened posters, stenciled posters and graffiti style banners wuith the help of Visual Element.